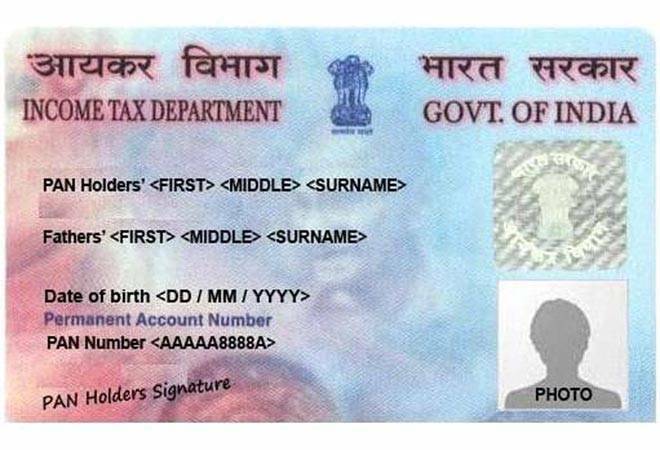 What is PAN Card - A PAN (Permanent Account Number) card is a unique 10 character code that is assigned to all tax paying entities in India. Issued by the Income Tax Department, the card links all transactions that attract tax under a single source, making it convenient for the government to keep track of these. Use of Pan Card - Besides its primary use, a PAN card is also used as proof of identity and age for everything from booking tickets for a movie, investing in the stock market to applying for a passport. What is Aadhaar card - The Aadhaar card is a unique identification card that is assigned to every Indian citizen. Issued by the Unique Identification Authority of India, the card is a 12 digit number that serves as proof of identity as well as proof of address. An initiative by the government to have a single identification document for every citizen in the country, the card is a personal identification card that contains the individual’s biometric and demographic information. Use of Aadhaar card - Nowadays, a number of government services and schemes require an Aadhaar number for registration and verification purposes, thereby making it an important document. 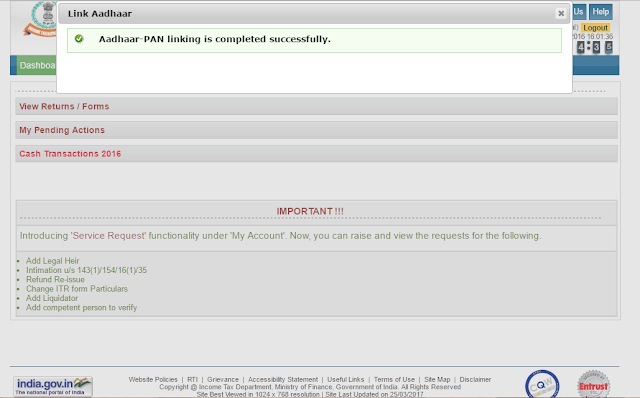 On logging in to the site, a pop up window will appear, prompting you to link your PAN card with Aadhaar card. Details such as name, date of birth and gender will already be mentioned as per the details submitted at the time of registration on the e-Filing portal. Verify the details on screen with the ones mentioned on your Aadhaar card. If the details match, enter your Aadhaar card number and click on the “link now” button. Register on it. 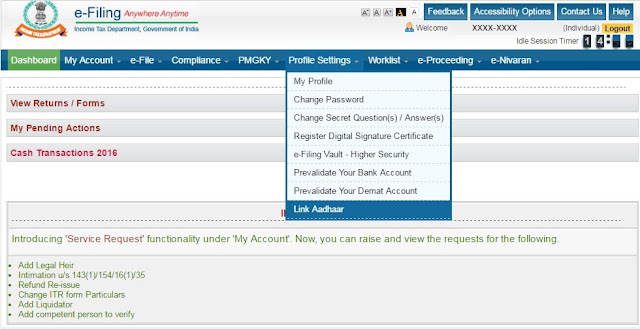 Your PAN (Permanent Account Number) will be your user id. Here a popup window will appear if not just find the blue tab on the highest bar named ‘Profile Settings’ on Menu bar and click on on ‘Link Aadhaar’. 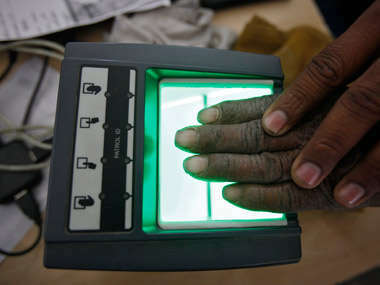 Your Mobile Can Be Disconnected If Aadhaar Was Used As KYC; 50 Cr Indians At Risk! Almost 50% of India’s current telecom users are staring at an impossible reality: Their SIM connections can be disconnected if they have obtained their connection via Aadhaar-KYC mode. This sounds ridiculous, but this can become the reality. Remember the days when telecom companies were luring, forcing, coercing you to link Aadhaar with your mobile, and get a new SIM by only using Aadhaar? And you trusted them, and gave your Aadhaar number for getting a new SIM, and doing a new KYC for your existing mobile? Well, it seems that it was a mistake. Now, as per fresh reports coming in, all those SIMs which were activated with only Aadhaar as KYC can be disconnected. The numbers can be as high as 50 crore mobile users, or almost 50% of current telecom users in India! Why Aadhaar-KYC Mobiles Are At Risk? First, the recent Supreme Court ruling, which ordered all private companies to destroy Aadhaar related data of customers. Now, UIDAI has asked to delink Aadhaar of users based on this ruling, and an ‘exit plan’ has been sought. In case telecom firms do delink the Aadhaar, then there will be no KYC left. And as per Telecom Ministry’s regulations, this means disconnection, unless other KYC is used. And the second reason is that, in the month of March, telecom companies were ordered to destroy all pre-Aadhaar KYC documents, as they were undergoing digitalized, Aadhaar KYC. Now, as those KYC documents are destroyed, and the current digitalized Aadhaar is delinked, there is no KYC left. The only solution seems is a new KYC, which would be without Aadhaar. And this massive exercise means more headache for the users, and telecom operators, as a new round of awareness, execution and follow-up is required. Telecom secretary Aruna Sundararajan has met representatives of various telecom operators, and have discussed this complex issue. She assured that whatever happens, the subscribers won’t be hassled. Non-Aadhaar KYC can be: passport, driving licence, voter’s card, electricity bill, gas bill, PAN card. There are only two more days left to link your Aadhaar number to your PAN card. 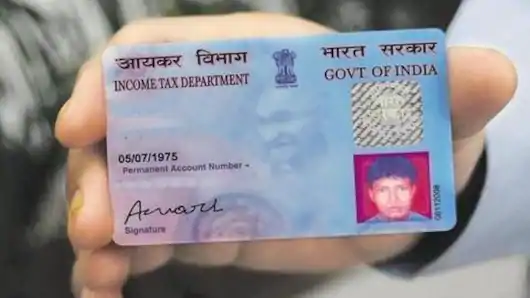 If you don't do it before 30 June, in case you do not have Aadhaar and you do not wish to obtain Aadhaar for the time being, then your PAN will not be cancelled so that your consequences under the Income Tax Act for failing to quote PAN may not arise. Here are five steps you can do it. Keep in mind, that once the Aadhaar-PAN linking is done, you can e-Verify your IT returns using Aadhaar. That’s when your mobile is registered with Aadhaar. By linking the two cards you will no longer have to submit your Income Tax acknowledgement to the IT department.